Installing a septic tank in your property (if there isn’t a municipal sewer system available in your area) helps in waste water management. Although a septic tank could last for many years, there are times when it begins to malfunction. 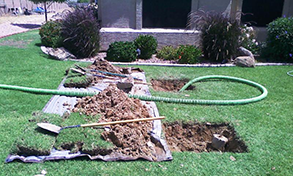 One of the most common problems of a septic tank is overflowing. An overfilled tank is not only disgusting; it is also hazardous to health. When the tank overflows, the risk of contaminating drinking water with unprocessed human waste is bigger. This could lead to a number of illnesses that could be prevented if only an efficient septic system was installed. The size of the septic tank determines how efficient the system will be in processing waste water. For an estimate on how big a tank should be, multiply by 150 gallons the number of individuals in a household. That should be the holding capacity of your septic tank. A small septic tank cannot contain all the wastes and water in a home, so the risk of overflowing is greater. Septic tanks should be pumped out every three years. If there are more people and if a lot of water is used in the household, then the tank should be cleaned more frequently. 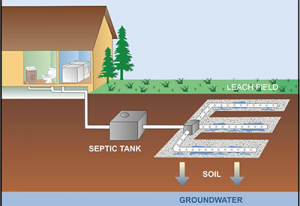 Septic tanks spill over when there is too much sludge, water or solids accumulated in the system. 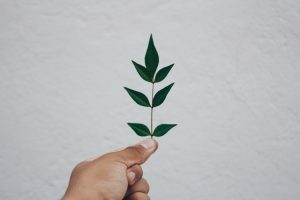 To prevent an overrun, have the tank inspected by a licensed septic system investigator to see whether there is a need to repair or pump out the system. Anaerobic bacteria in the tank break down solid wastes and convert them to sludge. Liquids in the tank go through the drain field and into the soil. When the soil is saturated with water, it becomes inefficient in absorbing the waste water from the tank. The waste water could enter the drinking water system and that could lead to a lot of health problems. Edenflo specializes in minor plumbing and pump repairs, septic tank inspection and cleaning, and power flushing of storm and sanitary drain lines. Don’t wait for sludge and septic waste to infiltrate your home, ensure you book an annual inspection with Edenflo. 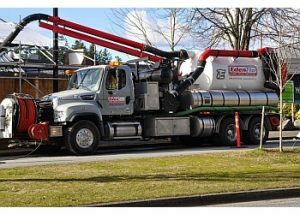 This entry was posted in Septic Tanks and Field Cleaning and tagged aldergrove septic tank cleaning, langely septic tank cleaning, new westminister septic tank cleaning, Septic field cleaning, septic system maintenance, Septic tank cleaning, Septic Tank Maintenance, septic tank maintenance vancouver, septic tank overflow, septic tank pumping vancouver, surrey septic tank cleaning, Vancouver septic tank cleaning, white rock septic tank cleaning on November 6, 2012 by Edenflo.